Welcome to Sun Recording Service. This website offers a unique experience to the astrology enthusiast. It chronicles the evolution of astrology from the last quarter of the 20th century to the present. Steve is owner of Sun Recording Service. He began studying Astrology and recording Astrology lectures in 1976. 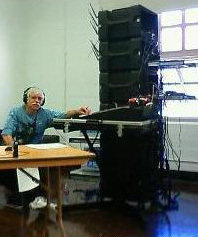 New recordings are added monthly using state of the art wireless equipment. Great material recorded on cassette tapes prior to 2006 is given new life through an ongoing conversion effort. Free sound bytes are provided to sample many selections. Handouts, chart examples and PowerPoint slides are often included for an in depth learning experience. The current 300 plus product list is only the tip of the iceberg. If you love Astrology or are intrigued by it and want to learn more, this site is for you. It contains many high quality recordings of top astrologers past and present. Create an account to be notified of exclusive member only sales and discounts. Steve has maintained an Astrological Consultation Service since 1979. 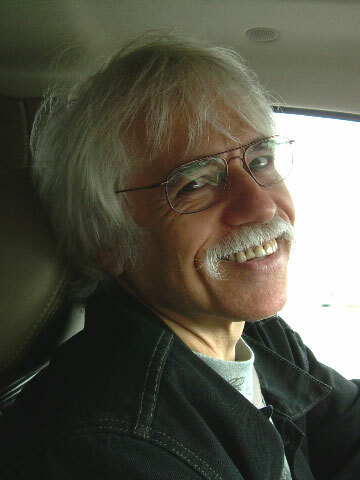 His personal approach to Astrology combines contemporary methods with Uranian Techniques. He became a certified Astro-Cartographer in 1985 and received his Professional Astrological Certification from ISAR at the ISAR 2000 conference. Steve is producer of the Star Dial System, a 90 degree dial designed by Arlene Kramer. He has lectured on Uranian Astrology, Cosmobiology, and Astronomy for Astrologers for local astrology organizations and astrological conferences, including UAC, AFA, AFAN, NCGR, ISAR and SWAC. Steve is a member of NCGR, ISAR, AFA, AFAN, SFAS and AA (Astrological Association of Great Britain). He was President of the San Francisco Bay Area Chapter of NCGR from 1985-2015 and now serves as President Emeritus on the Board. He coordinated National Astrology Conferences for NCGR in 1985 and 1991. Listings are updated frequently as additional recordings become available. Services include on location event recording of live events using a modular rack mounted recording studio configurable to record up to 24 wireless audio channels. The system shown supports 16 channels. It is easily reconfigured into multiple smaller stations for recording multiple simultaneous events at conferences. Sound amplification, a projector for PowerPoint presentations and a 10 foot screen are also available. Post-production services include sound editing, cleanup and minimization of unwanted background noise and enhancement of audience questions and comments. Off site equipment is available to convert audio originally recorded on cassette to digital format. Up to 32 cassettes can be simultaneously converted. Sun also provides CD/DVD duplication services. Click to request a quote: Sun Recording Service.